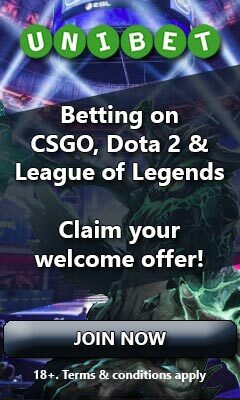 Pursue the sweet taste of profit as you enter a kingdom of eSport bets and place your first one using a valuable welcome offer without any risk of losing. Access a huge amount of odds offered on a godlike selection of 20+ eSport games and get a versatile experience with plenty of entertaining markets to choose from. Maximize your winnings with various promotions that are introduced on a regular basis and take pleasure in fast withdrawal and settling times assuring that your funds are quickly available for you. Find out more about X-Bet, the world class welcome offer and the fantastic eSport experience you’ll get by reading our full brand review below! If you’re looking for a killer welcome bonus, X-Bet offers a really valuable one that is specifically designed for all of the visitors here at eBetFinder. By using the above bonus code when making your deposit, you will receive a risk free bet up to €50. This means that if you lose your first bet up to a stake of €50, this will be completely refunded to you. The only condition that the bonus comes with is that if you lose your bet the returned stake needs to be wagered 5 times on odds 1.50 or higher, which is quite low. The best of it all is that if you win you don’t have to do any wagering at all, but can immediately cash out your winnings if you’d like to. Due to abuse, the bonus is unfortunately no longer available for residents in Russia, but everyone else can still use it. Click here to get your welcome bonus! X-Bet is an ambitious group of eSport enthusiasts that are sponsoring the CS:GO team Quantum Bellator Fire and are determined to create a world class eSports betting platform. They currently don’t have the most visually impressive website design on earth, but they are soon to give this a fresh, new look and behind all of the graphics lies a very promising experience with plenty of positive features. The eSports coverage is one of the best you’ll find as plenty of odds are offered on a very wide selection of games. If you’re looking to bet on League of Legends, Dota 2 or CS:GO, you’ll also have a really nice variety of entertaining markets to choose from. It’s not the absolute best assortment you can find, but it’s still amazing and will definitely please the majority of bettors. 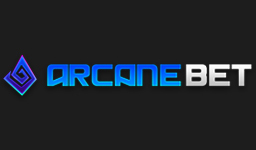 Further down in the review you’ll find all of the available eSport games and markets listed. Another highlight of X-Bet is the very valuable welcome offer you’re able to get your hands on, which on its own could be reason enough to pay the site a visit. If not, then maybe random betting jackpots will do the trick? As you place your bets, one of three different jackpots will always have a chance to trigger. This could boost your bankroll with anything from a couple of euros to several thousand ones. Not triggering? Don’t worry. 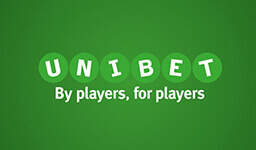 Every now and then X-Bet is running a one of a kind lucrative promotion which can be found under their blog section. In addition to the above, X-Bet does a really nice job with settling bets and processing withdrawals, which means that you never have to wait very long to receive your winnings. You’ll also find plenty of live streaming offered, which can be quite convenient to have if you’re a fan of placing live bets while following the heat of the action. On top of all of this they do a fantastic job with their customer support. Agents are (as far as we have experienced) very friendly and knowledgeable and also available 24/7. If you enjoy switching up your betting with casino, it should also be mentioned that there’s a big casino section on the site with hundreds of different slots and table games with real dealers. There’s not much bad to say about X-Bet. We’re in fact struggling to find just one reason not to bet there. That one reason would be if you you’re a fan of depositing with Neteller. They offer nearly all of the most common deposit methods, but for some reason Neteller currently isn’t supported. When you’re betting with X-Bet, your’re not only guaranteed to find plenty of odds offered on the most popular eSport titles, but they also cover matches from plenty of other games. Below you’re able to find a full list of those that we have seen covered so far. 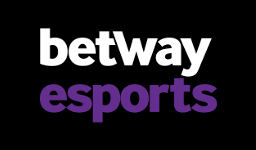 At X-Bet you can find quite a nice variety of different eSport markets offered, which is always nice to have as it makes the betting experience more versatile. The majority of these markets are however only offered for CS:GO, Dota 2 and League of Legends as these are the most popular eSport games. Below we have listed all of the markets that we have come across on these games. Please note that all of them may not always be available for every match offered, even though most of them usually are. Some are however special ones that are only included when certain tournaments are being played. If you appreciate having your well-earned winnings quickly received, you won’t be disappointed with either X-Bets withdrawal nor settling times. A withdrawal is usually processed within 1-12 hours, which is pretty fast. At times you’re also able to contact their customer support to have the processing of it sped up and every now and then processed at once as a gesture of good will. When it comes to settling of bets, these are handled just as swiftly, if not faster. It doesn’t matter if you have placed a pre match or live bet, but as soon as the event you have bet on has actually occurred in the match, your bet is usually settled in no time. If you’re for instance betting on a certain CS:GO team winning the first pistol round, your bet is usually settled shortly after this round as played out. If you enjoy switching your eSports betting up with the joy of casino games, you’ll find about 600 different slots to choose from, plenty of video pokers, various table games and a nice live casino from Ezugi. It’s all in all a great selection of games and among the providers used you’ll find ELK Studios, Habanero, NetEnt, Pragmatic Play, iSoftBet and many more. Argentina, Australia, Austria, Bosnia, Brazil, Canada, Denmark, Finland, France, Germany, Iceland, India, Indonesia, Ireland, Italy, Malaysia, Malta, Netherlands, Nigeria, Norway, Philippines, Poland, Portugal, Russia, Sweden, Switzerland, Turkey, UAE, Ukraine.